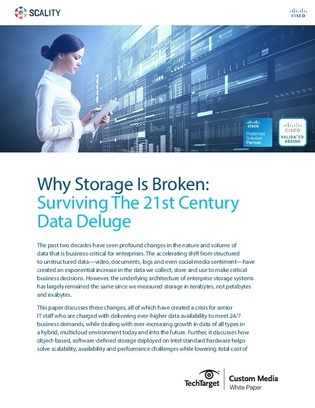 Although the types and variety of unstructured data have changed, for many enterprises, the storage systems in use have not. That means many organizations are pigeonholing new data types on systems better designed for files and tables. And although traditional storage systems provide critical functionality, they can be slow to deploy and difficult to scale quickly to meet emerging needs. Access this custom paper for help in confronting the challenges of unstructured data storage and management, with guidance on multi-cloud management tactics and using object-based, software-defined storage to satisfy scalability, availability, and performance requirements while lowering TCO.